Advancements in cataract surgery have necessitated the availability of intraocular lens preloaded delivery systems that can safely, effectively and predictably deliver IOLs in the eye. Preloaded delivery systems simplify and reduce procedural variability during surgery preparation. The objective of this study was to evaluate clinical acceptability, delivery characteristics and clinical outcomes in patients implanted with new generation hydrophobic acrylic Intraocular Lens with Preloaded delivery system. This was a single centre retrospective study. Total 41 patients were enrolled in the study to get at least 38 patients for evaluation. All patients were assessed on day1 and 1, 3 and 6 months after surgery. EYECRYL-SERT showed ‘excellent’ ease of insertion and handling in all 41(100%) patients. Corrected Distance Visual Acuity (CDVA) improved from 0.74±0.58 logMAR during screening to 0.03±0.04 logMAR 6 months after surgery. The Corrected Intermediate Visual Acuity (CIVA) and Corrected Near Visual Acuity (CNVA) were 0.10±0.04 and 0.01±0.02 logMAR post 6 months surgery, respectively. The refractive spherical equivalence was -1.94±2.51 D during screening, which improved significantly (p=0.0018) to -0.21±0.47 D post 6 months surgery. The low and high contrast sensitivity was 0.06±0.06 and -0.05±0.06 logMAR after 6 months surgery, respectively. The endothelial cell loss was 5.67%, 7.22% and 9.75% at 1, 3, and 6 months after surgery, respectively, as compared to screening. None of the subjects reported any adverse event during the study period. 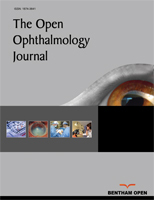 The IOL delivery system (EYECRYL_SERT) provided desired delivery characteristics during cataract surgery and was effective in improving clinical outcomes in cataract patients. Keywords: IOL, Cataract surgery, Visual acuity, Preloaded delivery system, Hydrophobic IOL, Contrast sensitivity. © 2018 Acar et al.